This is a precious D20 made out of real Amethyst-stone. 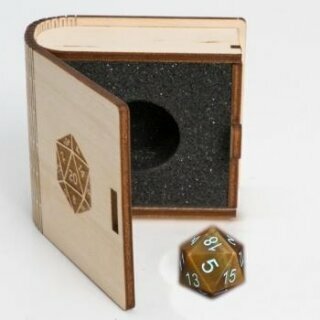 It comes with an uniquely engraved wooden chest that looks like a small book. 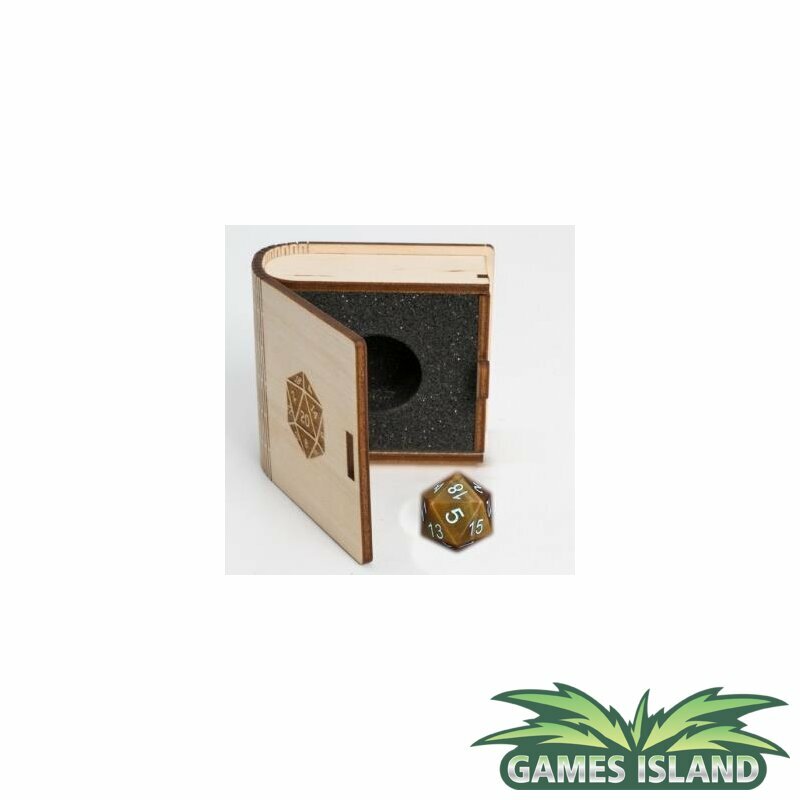 This box is equipped with a foam inlay to protect the D20. This is a true collectors item.